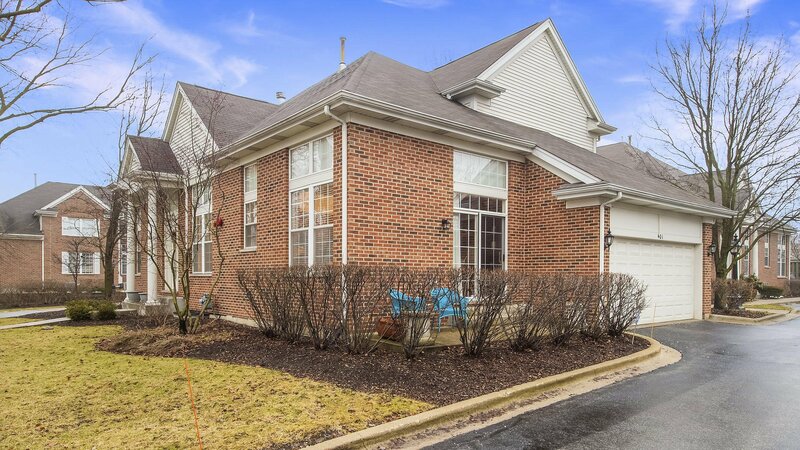 Outstanding opportunity to own this rarely available "stand alone" condo offering first floor living in desirable near-town location. 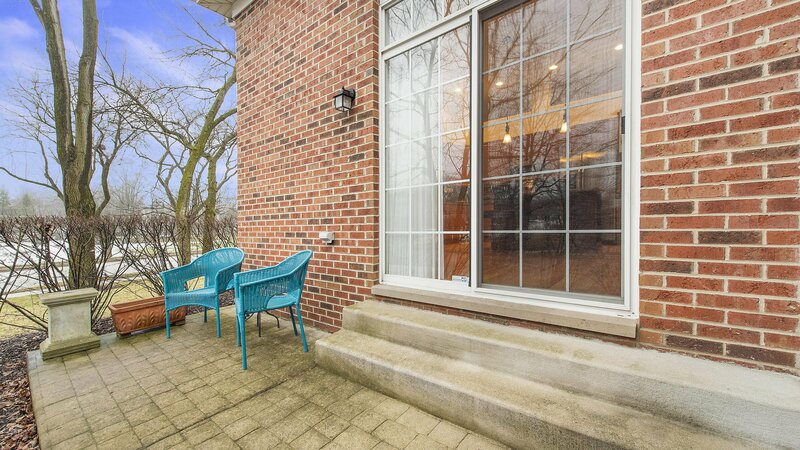 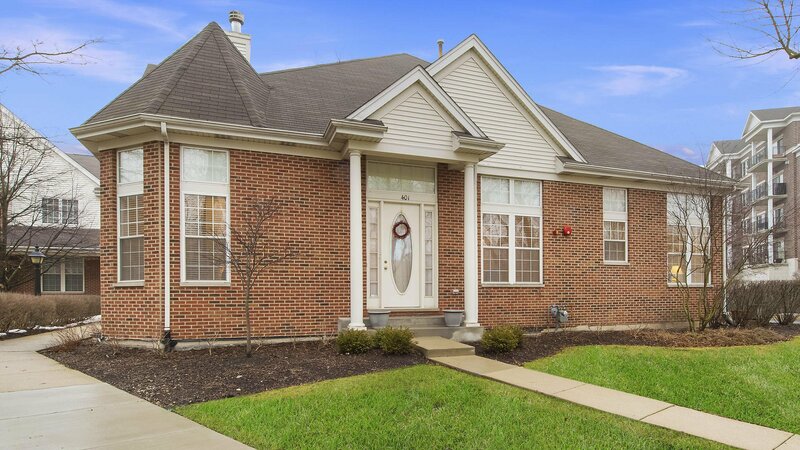 This lovely, sun-filled 3 bedrm home is updated and in pristine move-in condition. 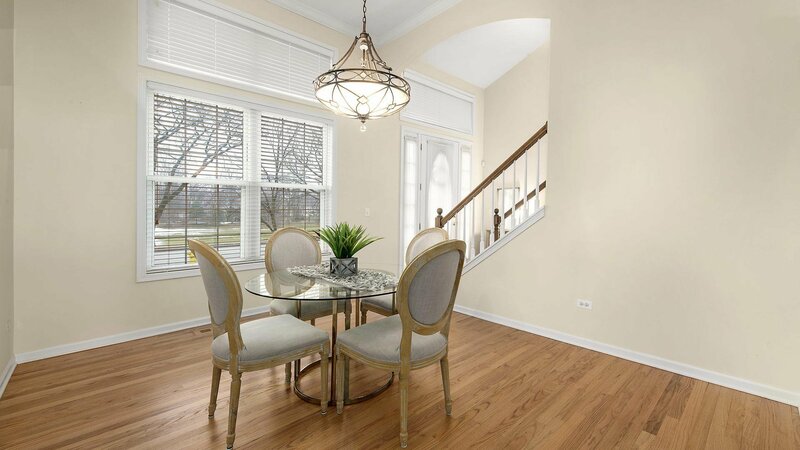 Features include soaring ceilings, crown molding, arched entries, gleaming HW floors, and a gas fireplace. 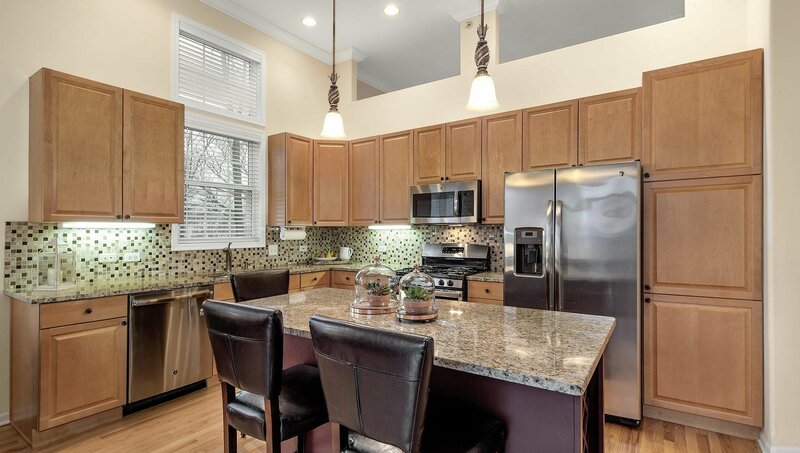 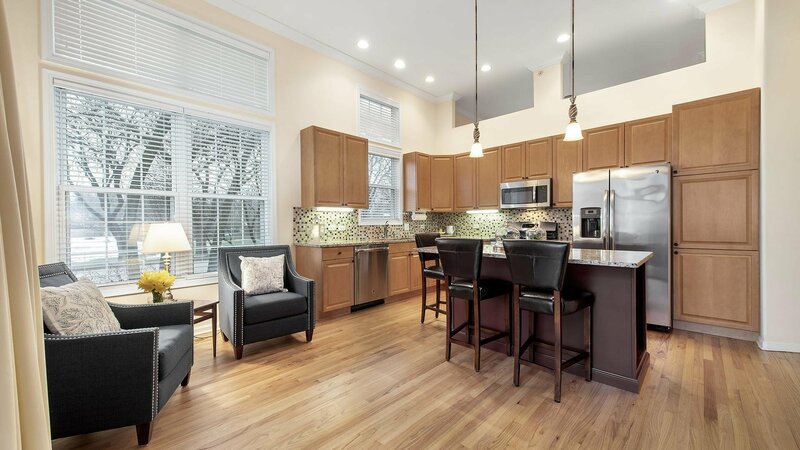 Bright, formal dining room leads to the thoughtfully updated kitchen featuring SS appliances, newer cabinets, a large custom island w/seating, & granite counters. 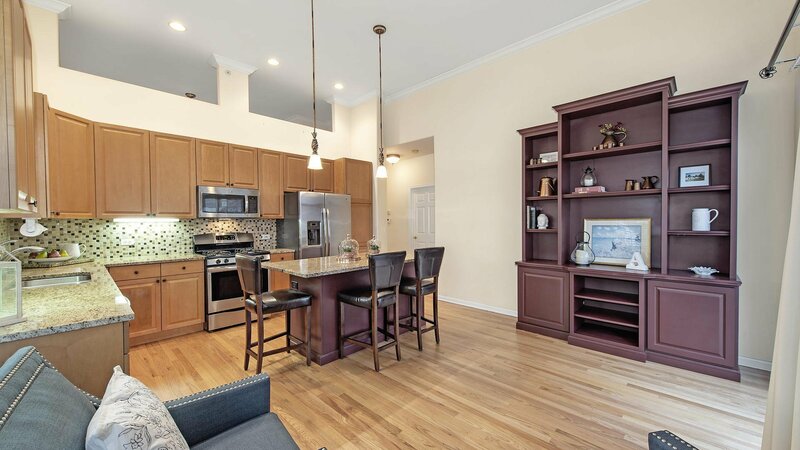 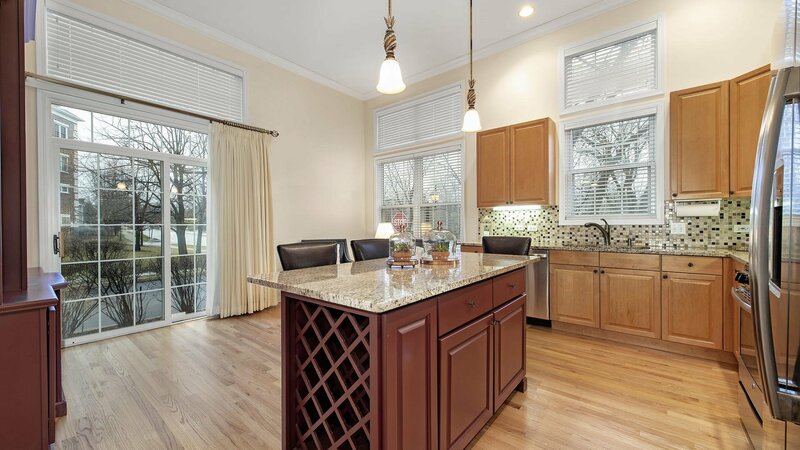 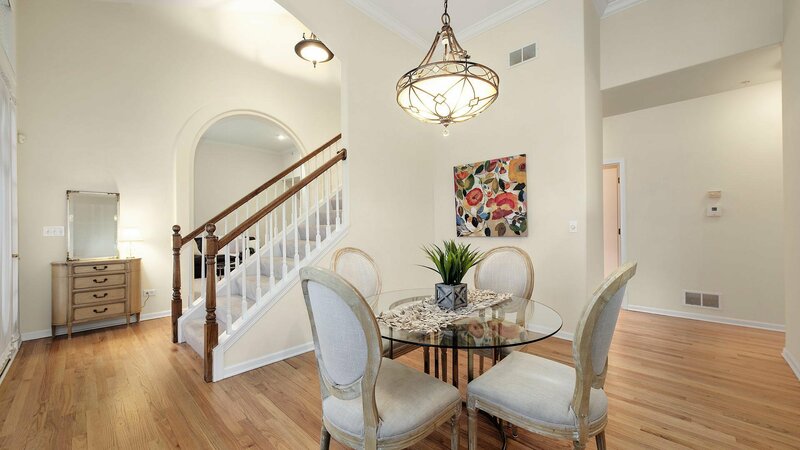 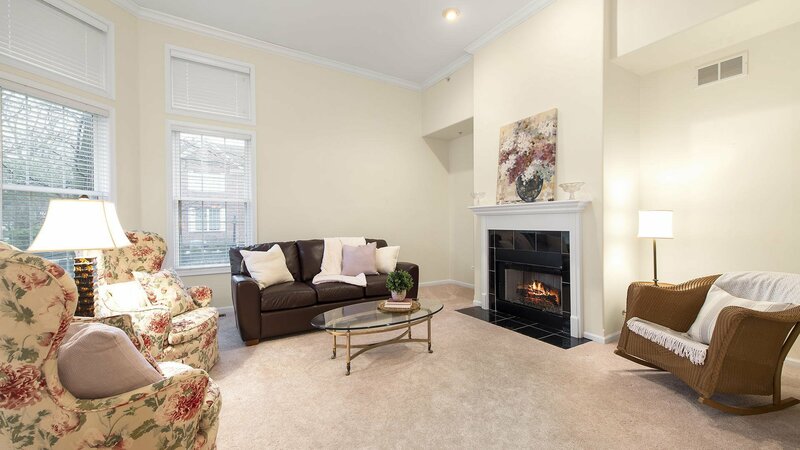 Cozy family room opens to the kitchen and offers a custom built-in cabinet and patio access. 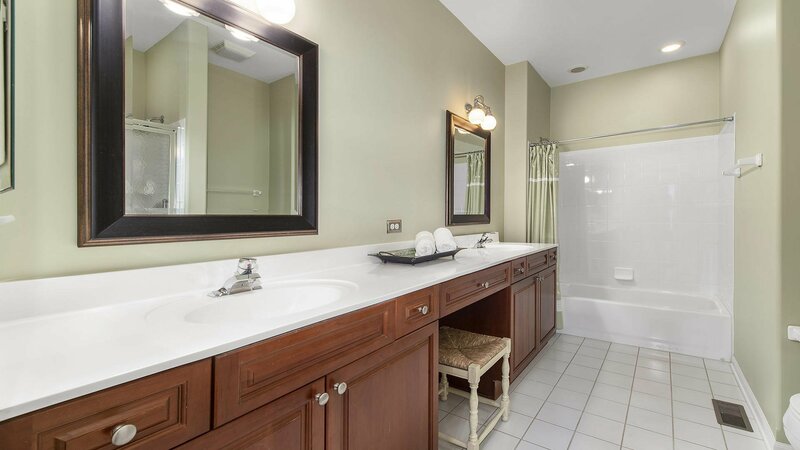 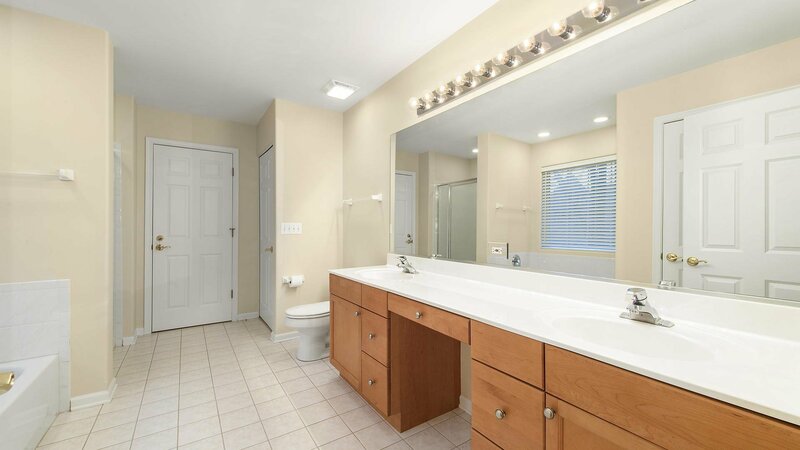 Expansive First Floor Master Suite w/WIC and spacious dual-vanity bath. 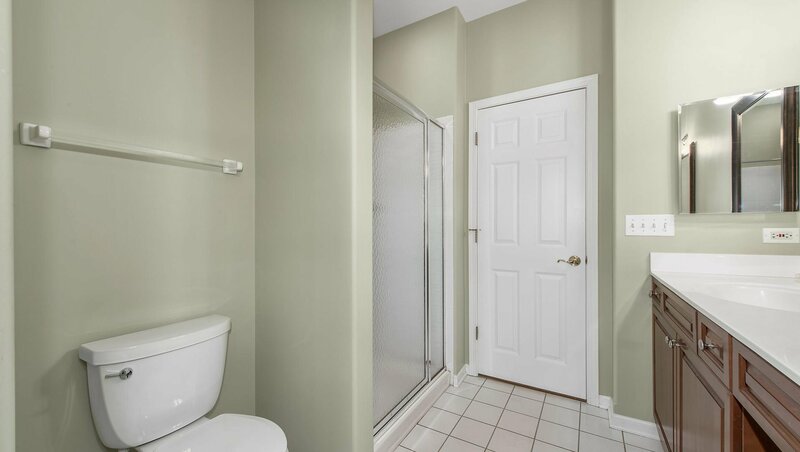 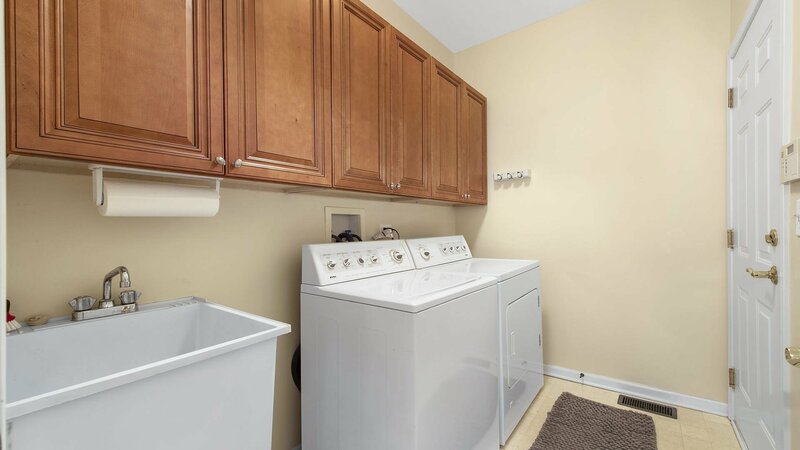 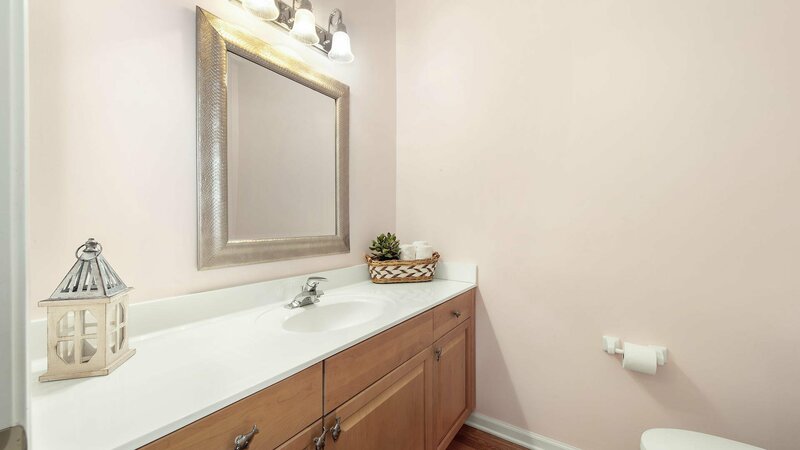 Powder room, laundry & access to 2 car garage also on the 1st floor. 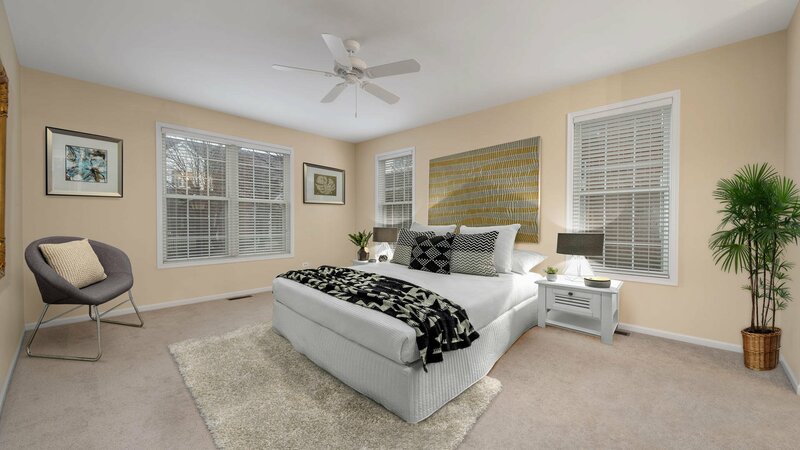 The 2nd floor offers 2 very large bedrooms w/full bath, generous closets, and loft space perfect for a reading nook or office area. 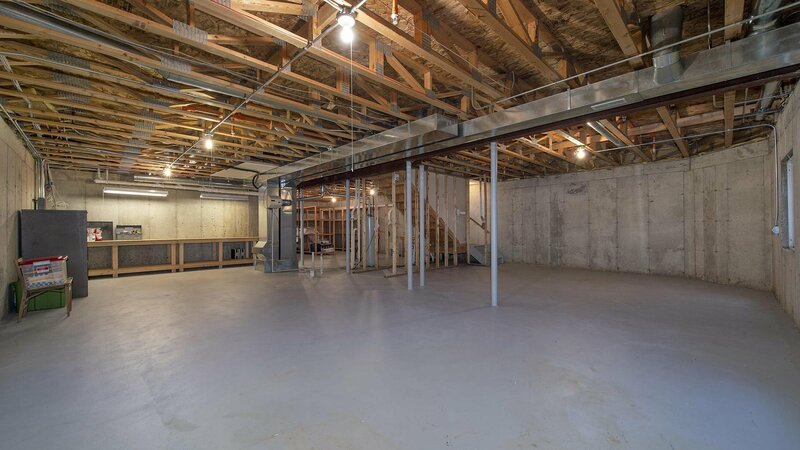 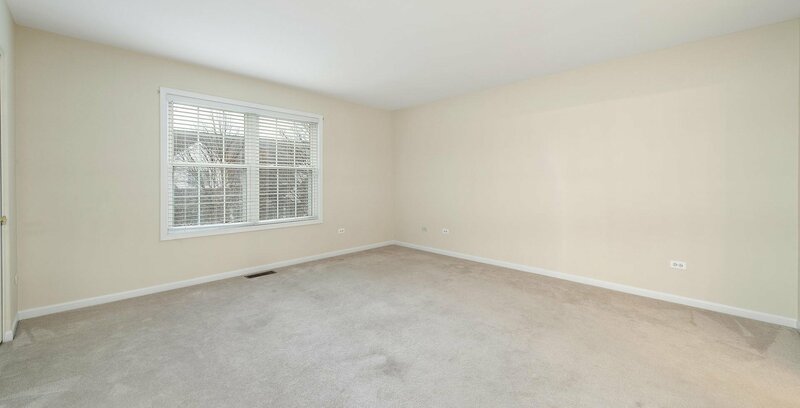 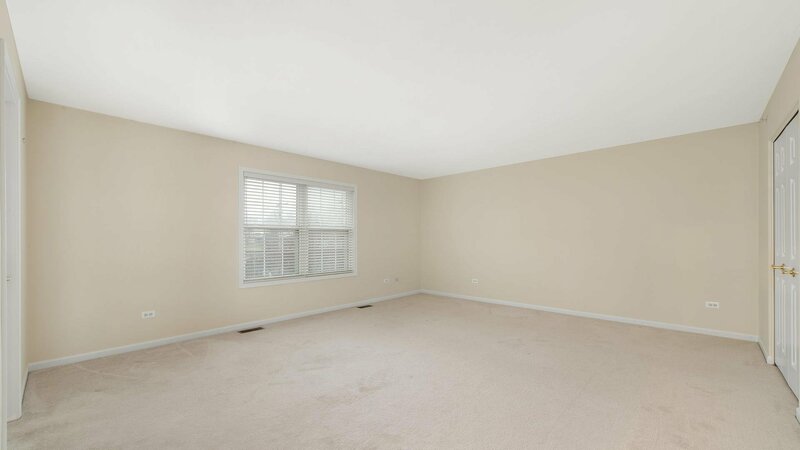 Huge unfinished basement w/custom shelving offers loads of storage & possibilities. 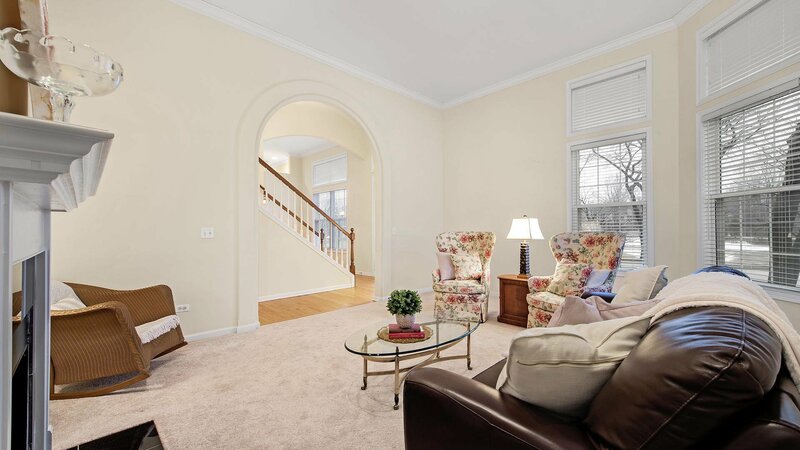 Home is in excellent condition but an estate so sold "As Is".